Shaun the Sheep is a well-known stop-motion animated television series, which also later included a computer game version. This was a spin-off of the Wallace and Gromit franchise, and proved to be very popular. 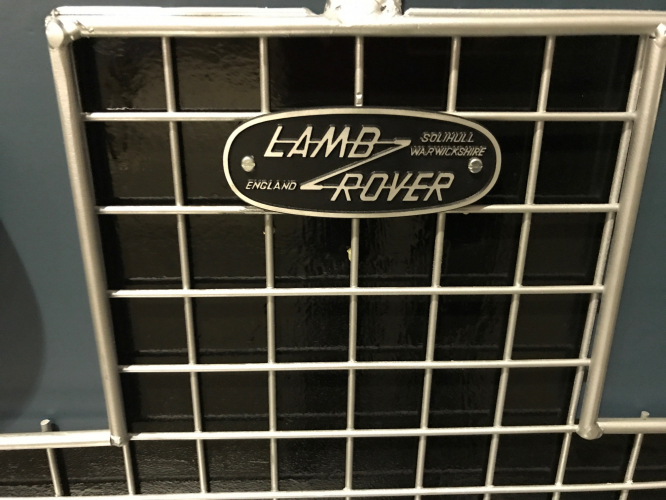 Shaun the Sheep had a Land Rover, which is known as the ‘Lamb Rover’. 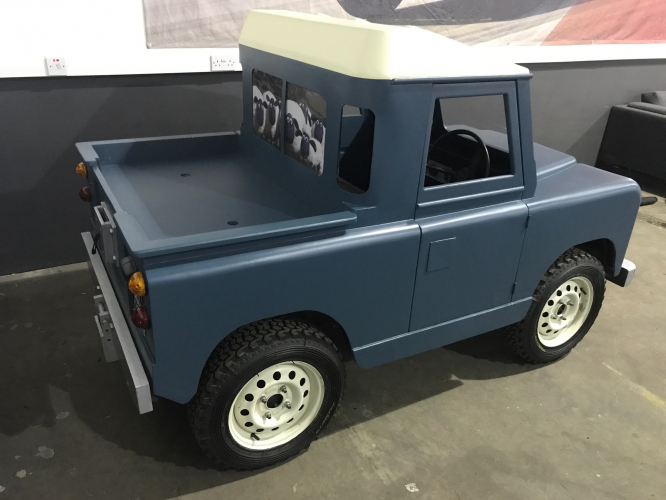 One of our very good customers bought the Lamb Rover itself, which is in essence a miniature Land Rover, driven by electricity. 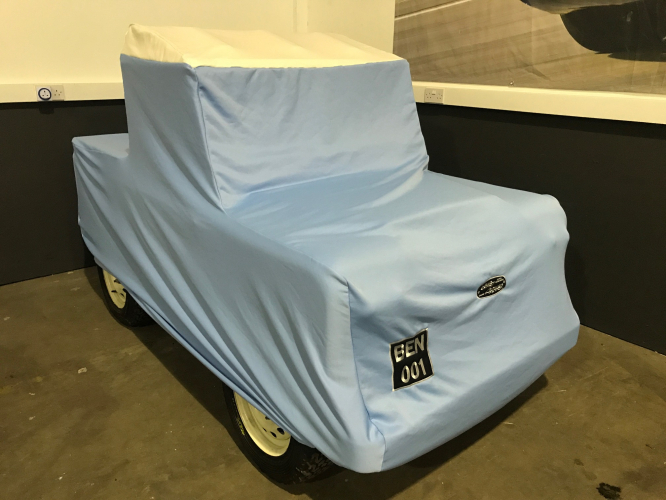 The customer wanted one of our Custom Made Indoor Car Covers, as he wanted our finest fabrics and for it to be tailor made in our UK factory. 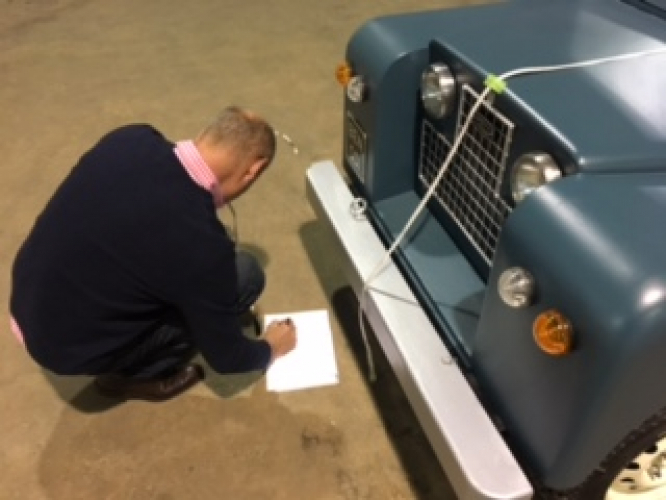 As the car is so tiny, we had to arrange to visit site to measure it, as it is one that we wouldn’t have a template for. 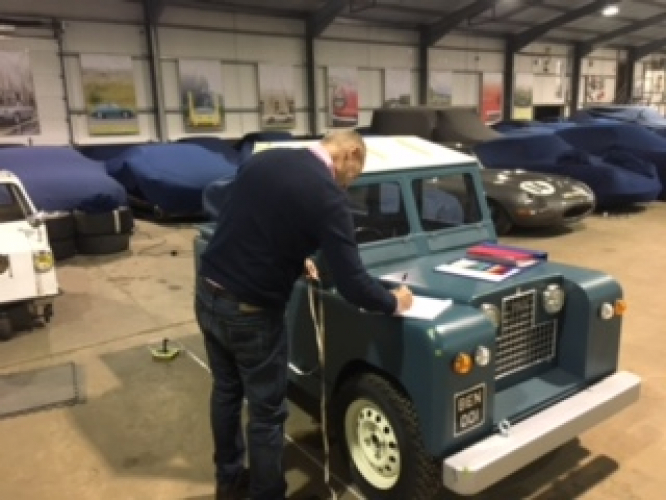 Our head tailor went down to see the customer and the Lamb Rover to measure up each and every detail of the car, enabling us to get the fit just right. 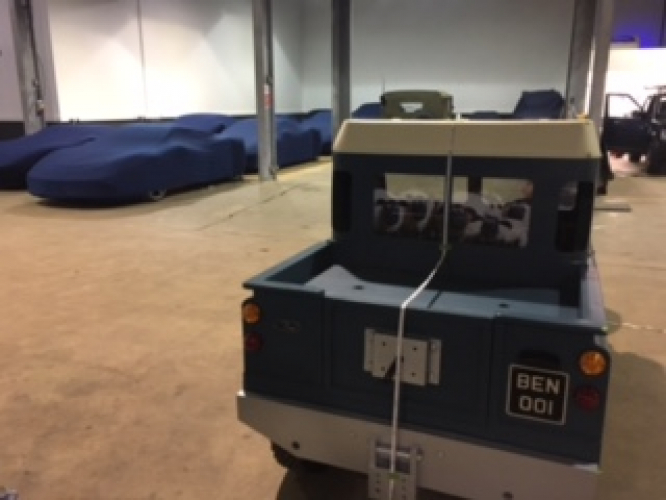 We offer our measuring service to any one of our customers if the vehicle is particularly rare or unique. As this was a gift for the customer’s young son, we were given the brief that the cover needed to be something special. Whilst we were there measuring, we went through all kinds of options, designs and colour of with how we could make the cover look. 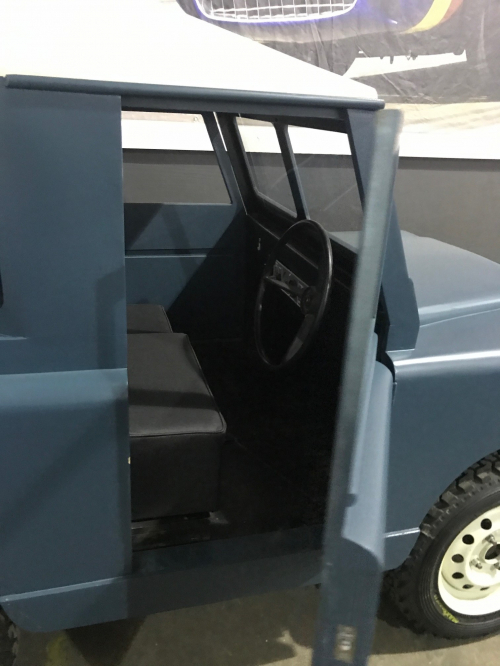 The decision was made to make a light coloured cover to look like a Land Rover, including number plates and embroidery. 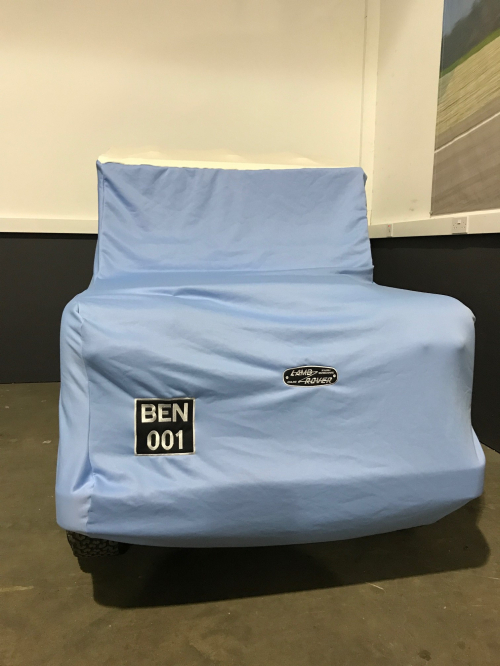 We took the measurements back to our factory in the West Midlands where the cover templates were marked out and the embroidery teams were tasked with creating the bespoke embroidery. Once the cover was marked out, it was sewn together by our team of experts and finally embroidered. 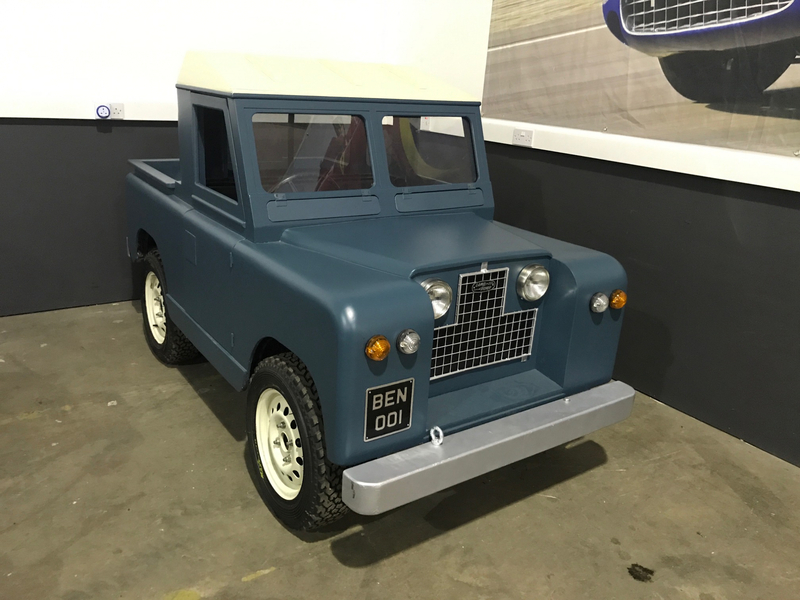 The cover itself was mainly Sky Blue, with an Old English White top section to match the cream top of the Lamb Rover. We then made some number plates for the cover which match the number plates behind that our customer had made for his son. 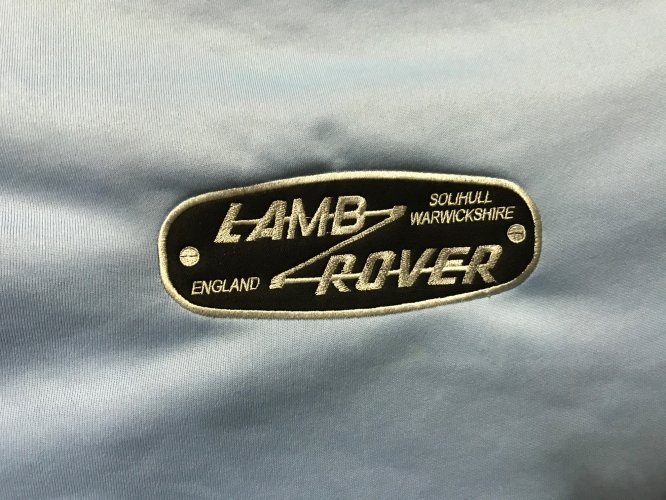 We embroidered the Lamb Rover logo in silver to match the badges on the Lamb Rover itself. The customer and his son were delighted with the result, and we think the cover looks fantastic. Take a look at the photos below to see how it turned out!